I have decided to retire. When do I request a Pension Application form? You should obtain an application form approximately 90 to 120 days in advance of the date you elect to retire. What documents are required to be submitted to the Fund Office? A copy of your birth certificate, and if you are married a copy of your spouse’s birth certificate as well as a copy of your marriage license or marriage certificate. If you have been divorced, we will need a copy of your divorce decree that has been filed with the courts and signed by the judge. Military credit is granted if you began working for a contributing employer, left to go into the military service, and then upon release from the military you returned to working for the contributing employer. In this case, you would need to provide the Fund Office with a copy of the DD214 form. If you were in the military prior to working for a contributing employer, no credit would be granted and it is not necessary to provide proof of military service. Payments are sent on the first business day of each month. 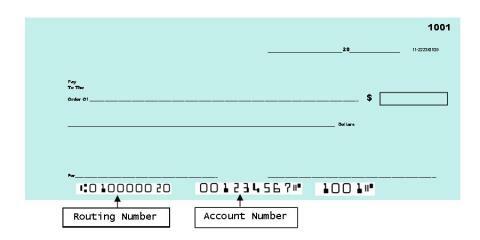 You should contact your bank to verify that your payment has credited to your account. Note: all payments will be sent by direct deposit by April 2013. For participants still receiving checks, you will need to enroll in direct deposit by calling 1-800-251-4107 or by using our direct deposit form. What happens if my company is closing? How do I find out what my benefit may be? Contact your USW Representative and have them call the Fund Office at 1-800-474-8673 and ask to speak with Connie Cornelius. She is available to go to your employer or Local Union Hall to do presentations on your benefits and to answer questions about applying for your pension.